Take a sip of your potion of choice (beer, coffee, Ogre Knuckle on the rocks), and imagine along with me the following scenario: An Elf and an Orc are at a morning charity event, looking to donate a small percentage of their annual earnings so as to guarantee that younglings of their respective races have the crucial teachings, guidance, and equipment necessary to strive at Blood Bowl, a humorously and violently hyperbolic version of American football in which drop kicks, deaths, and dirty tricks are common playbook stratagems. Impressed by the Orc’s gall (and the way his consonants created a soothing friction on his outer ears), the Elf accepts, and sends message to have his best players rendezvous at the field before midday. 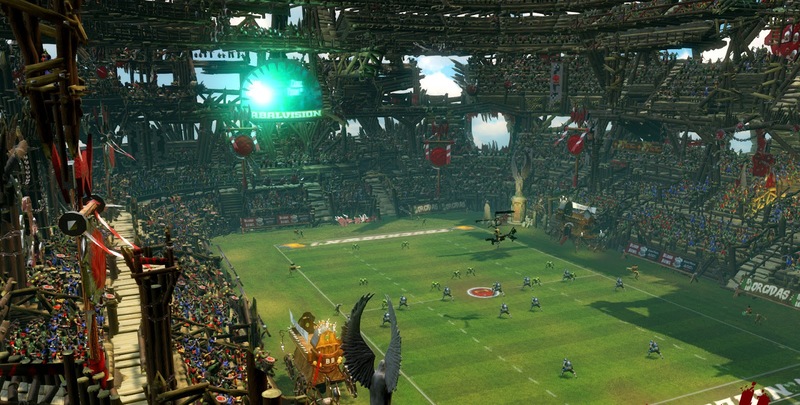 So the question is: Who would win this impromptu Blood Bowl duel: the Elves, with their high agility and passing prowess, or the Orcs, with their bridge-crumbling strength capable of fracturing a mighty Ogre’s entire skeletal system? Like Blood Bowl 2, that answer is complex, strategic, reliant on chance, and a complete joy to figure out, so long as you have the patience to learn and experiment, and don’t mind the frustrations of the occasional glitch, vague tutorials, and drawn-out matches. 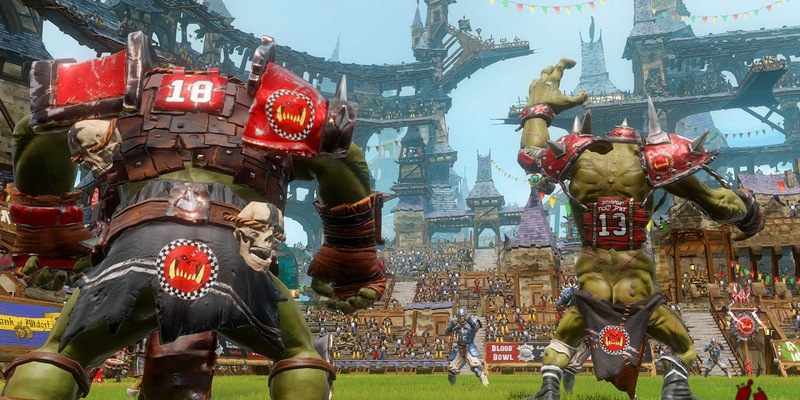 As you might have figured out from the scenario, Blood Bowl 2 is a clever and attractive hodgepodge of Warhammer’s board game fantasy universe and the basic structure of American football that’s amplified by fantastical violence and humour. But instead of being a live-action “I’m’a sack yo quarterback” type of sports game, which I’ve discovered most players unfamiliar with the series to expect from the artwork of the game’s cover alone, it’s a purely delicious turn-based strategy gem. Like traditional American football, a team of eleven players, the offence, uses coordinated blocks, speed, passes, and trickery to transport an oblong ball into the opposition’s goal post, while the opposition, with its eleven defenders, does everything with its collective of burly bodies to stifle their progress and gain control of the ball. But unlike American football and conventional sports games, BB 2 plays, on the most basic level, like Final Fantasy Tactics on the gridiron -- but with a heavy reliance on luck, since important movements are, like a board game, followed up with D6 dice roll. A single game consists of 16 turns. During said turn, you, as the team’s coach, position and act with each of your 11 players. Each player gets one move, in which they can reposition, block, or pass the ball. When you finish issuing orders or when a player fails an action, your turn ends. Now, the success of almost every move that matters depends on two factors: your players’ stats – Strength, Agility, Armor, and Movement Allowance – and their relationship to your opponents’, and the relationship of a dice roll’s outcome with regards to both players’ and opponents’ stats. I’m not exaggerating when I say that you can’t even level up or acquire players’ stats and skills without pledging light sexual favours to Ol’ Lady Luck. Although the first few hours of the Campaign would have you believe the process is completely random (my Thrower fumbled the ball six times in a row attempting to pick it up), it isn’t. It can certainly seem that way at times, but the system is more akin to risk management - predicting and identifying probabilities, determining which moves are most likely to succeed or fail, and performing first the moves that are most capable of generating a favourable result. Also, you’re offered plenty of tactics and obtainable skills, which range from being very well explained to barely mentioned, to improve your chances. The Replay Card, for example, which allows you to retry an unlucky roll, can be purchased and carefully utilised to increase the rate of success during a pivotal move. However, even with such tools, promising moves will still fall flat on their round, green bottoms. Even when probability looks to be all in your favour, your players will goof, embarrassingly. You could have a 91 per cent chance to throw a successful pass and a 91 per cent chance to catch it and, in the most crucial moment (trying to tie the game before Half Time), the pass will slip through one of your player’s fingers like an eel smothered in Troll’s foot lotion. Or your catcher, trying to reposition himself beyond his Movement Allowance, will slip on an imaginary Dwarf banana two steps before the End Zone. Yes, this is infuriating, and it will make you feel as though the game is picking on you for being more subjectively handsome around the chin than your opponent, but you have to keep in mind that, possibly on the next turn, the same misfortune can and eventually will befall your rival. Inversely, nothing supercharges the morale more than completing a tackle or a pass when the odds are screaming “YOU BETTER NOT!” I mean, don’t get me wrong; risk management is the primary system in effect. It requires a tactician’s cunning and understanding of the rules, but the intermittent bout of extreme misfortune or triumph, at least for me, keeps your mind sharp and never too complacent with one’s own skill. While I’m nearly in lust with BB 2’s turn-based, board game mechanics, I can’t say the same for the way it’s introduced. The Campaign, a charming and lengthy tale of a former championship team’s return to glory, is practically the game’s challenging doing-is-learning tutorial, and it does a pretty fine job of bringing in new concepts at a steady pace, game after game. But because some of the most important concepts are initially missing, it had me thinking that BB 2 was completely dictated by randomness, which painted it as being too chaotic to be reasonable. I also encountered issues of stability: the A.I. of my opponent would routinely stall or glitch-out during the beginning of its turn. Once, while waiting for the A.I. to make a decision, I used the restroom, grabbed a stiff drink, and crawled in slow-motion back to my PS4. When I returned, the A.I. still hadn’t made a decision (and actually got trapped in a hypnotic waypoint glitch), so I had to restart the match thirty minutes into it. Oh, and good luck finding a good match online! Half the players you encounter may decide to quit after one or two bad turns. 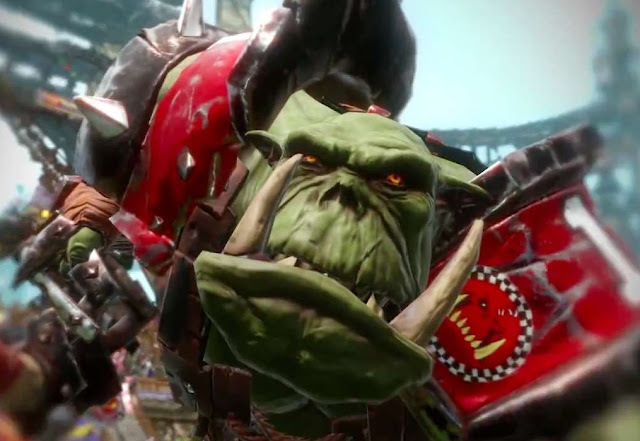 Nonetheless, when you do find a good game and a great opponent, you’ll be hard pressed to pinpoint the last time you had more fun with a console strategy game. A smart mixture of Warhammer strategy and American Football, BB 2 combines the nuance of turn-based skill with perceptive risk management to create a game that is equal parts joy and pain to figure out. And though it bears the frustrations of unpredictability and a sporadically malfunctioning A.I., which destroys match pacing (and will probably be patched), the core gameplay is intelligent and deep enough to advocate to anyone who appreciates turn-based strategy coupled with an endearing high fantasy aesthetic. 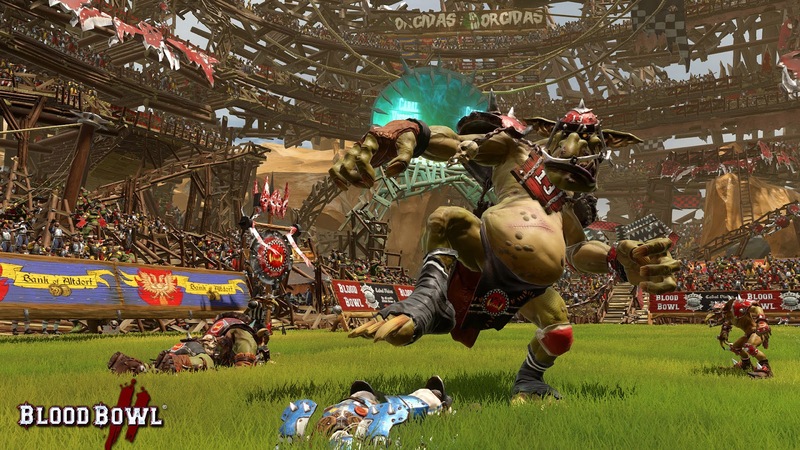 Item Reviewed: Review: Blood Bowl 2 (Sony PlayStation 4) 9 out of 10 based on 10 ratings. 9 user reviews.